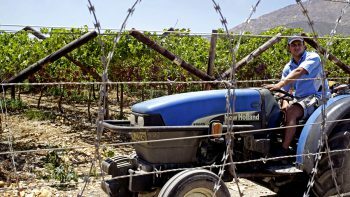 MR Online | White farms and black farms: will South African land finally shed apartheid’s proportions? 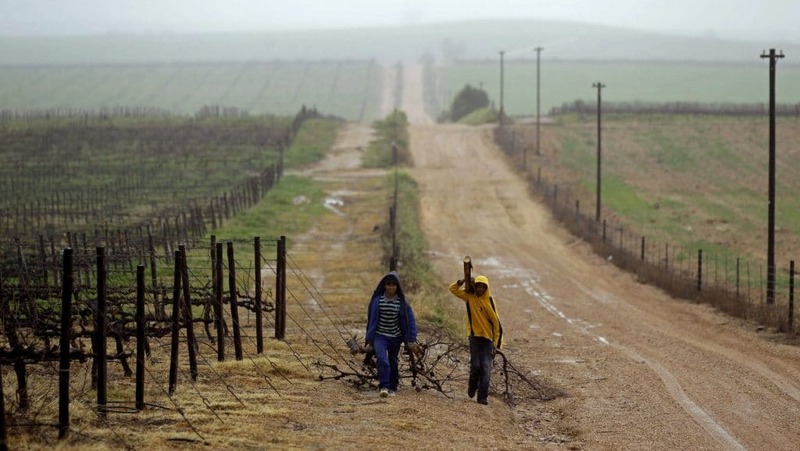 White farms and black farms: will South African land finally shed apartheid’s proportions? Posted Jun 09, 2018 by Eds. The first thing a casual visitor will notice about a white-owned South African farm is its size. In summer, the typical commercial farm here is greener than imagination, and stretches seemingly into another day, beginning at a fencepost, or frontage road and ending, a few thousand acres later, at the sky, or on the banks of a gleaming river. The first thing a casual visitor will notice about a black-owned South African farm is its size. With few exceptions, they are pitifully small plots—no more than a few acres usually—of shallow, stingy soil, located off the beaten path, and a good distance from the nearest roadway. Twenty-four years after this country of 55 million people voted to abolish white-minority rule, the maldistribution of land—southern Africa’s most valuable resource—persists. 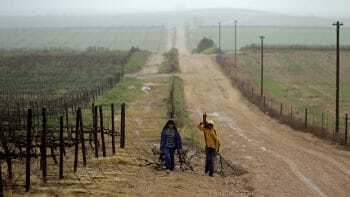 When voters of all races went to the polls for the first time in 1994, a tiny white minority—less than 9 percent of the population—owned 87 percent of all agricultural lands in South Africa. And despite promises by former President Nelson Mandela’s ruling party, the African National Congress, to redistribute nearly a third of the country’s arable land by 2000 using a willing-buyer, willing-seller market-based system, two-thirds of all farmland remains in the hands of whites, according to the Institute for Poverty, Land, and Agrarian Studies, or PLAS, at the University of the Western Cape. More than a century after the 1913 Land Act began evicting indigenous Africans from their ancestral homelands, and more than 60 years after the People’s Congress included agrarian reform among the demands made by the 1955 Freedom Charter, nothing quite vexes this country quite like the unresolved legacy of the European settlers who stole land at gunpoint and never returned it. The calls for repayment are similar to those of some African Americans whose ancestors were never paid for slave labor. But the issue is reaching its boiling point in South Africa. That’s because the ANC’s market-based reconstruction plan has largely failed to reverse the injustices of its colonial era. Indeed, from a material sense, South Africa’s black majority has never been poorer, as a tiny black-elite has merely joined whites and multinationals in the plunder of the country’s resources. And with the country preparing for hotly-contested presidential and parliamentary elections next year, the ANC is considering a measure to amend the Constitution to allow the government to seize land from white farmers without compensation. The time for reconciliation is over. Now is the time of justice. We must ensure that we restore the dignity of our people without compensating the criminals who stole our land. Unsurprisingly, the idea of seizing lands is widely unpopular with whites and the Western-controlled media, which argue that it would reinforce the image of maturing African governments as unstable, volatile economies with no respect for property rights. And, many argue, it would be impractical to dislodge experienced farmers who sometimes employ up to 200 workers and hand over thousands of acres of farmland to blacks who are unfamiliar with large-scale farming. Still, in South Africa as in the U.S. and occupied Palestine, reparations are as much a practical issue as a moral one. The concentration of vital lands among Africa’s white minority has arrested the country’s economic development by denying a majority of the population access to the key ingredient for industrialization and an expanding economic base—reminiscent of the 1862 Homestead Act in the U.S., which gave settlers up to 160 acres of land for a nominal fee, or the agrarian reforms that were the predicates for growth in Singapore, Taiwan, Japan and China. Access to the land is an important basis for participation; to that extent it’s not just about poverty, inequality and economy, it’s also a question of belonging. 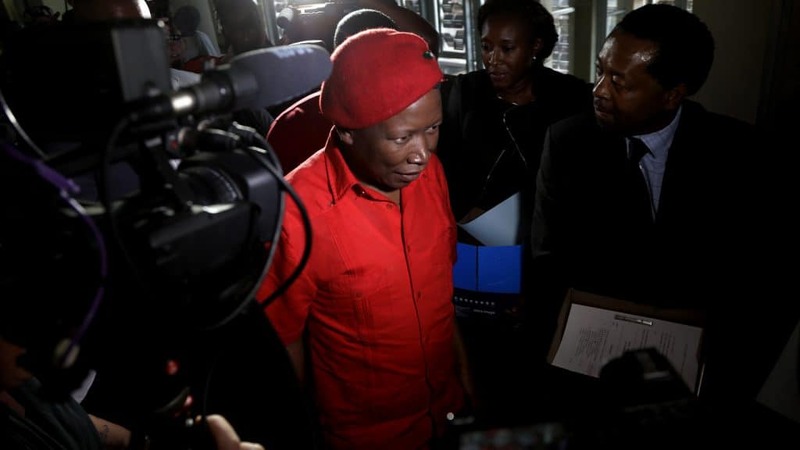 In February of 2017, South African lawmakers resoundingly rejected Malema’s proposal to amend the Constitution to allow for expropriation of land without compensation. 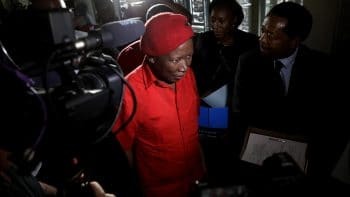 Three months ago, however, South Africa President Cyril Ramaphosa authorized the Constitutional Review Committee to review proposals for amending the Constitution; the panel will report back to the National Assembly before August 30, just as the electoral season is beginning to heat up. But many here say that South Africa’s constitution has never been an impediment to land redistribution; the problem was always the political will of the ANC, which abandoned the Marxist ideology that the party espoused at the time of the Freedom Charter, for a neoliberal approach that Mandela himself once proudly compared to that of Margaret Thatcher. The land reform process has proceeded very slowly. What that meant in practice is that the interests of property owners have routinely trumped the interests of black South Africans. Complicating matters is the agricultural reform program in neighboring Zimbabwe, begun in 2001 by the iconic independence-hero-turned-president, Robert G. Mugabe, who was removed from office last year in a coup after four decades in office. Similar to the ANC, Mugabe’s party, ZANU-PF, was facing stiff competition from an upstart political party at the time, the Movement for Democratic Change, and the white commercial farmers made a convenient scapegoat: their numbers were small, their wealth enviable, and their supporters among the black majority few. Still, while Mugabe made significant progress in redistributing arable land to indigenous farmers, the sector continues to struggle to produce. No agricultural reform program can truly succeed without significant public investments in seeds, fertilizer, machinery, training and finance, an organizer for Zimbabwe’s Indigenous Commercial Farmers’ Union, Nokwazi Moyo, told me in 2002. That is precisely how colonial governments in South Africa, Zimbabwe and Zambia helped British soldiers returning from World War II—Rhodesia’s unrepentant Prime Minister Ian Smith was a butcher’s son with no agricultural training–to become recognized among the best farmers in the world. The government gave them training, low-interest loans and subsidized crops. When a beginner had a hard time catching on, the Rhodesian government often forgave each government loan until he turned a profit. It was affirmative action before affirmative action got a bad name. 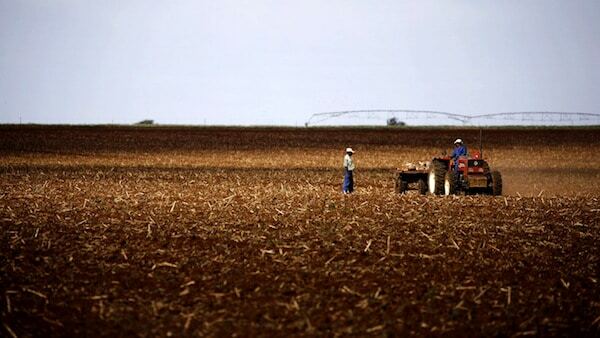 A black Zimbabwean farmer tells the tale of Africa’s unrealized promise. Stephen Ndiyamba was 34 when I interviewed him in 2001, and searching for a farm to call his own. For two years, he had leased 20 acres about 160 miles northeast of Zimbabwe’s capital city of Harare. If he could afford 400 acres of fertile land, he said, he could quit his job in the mines and farm full time, growing enough corn and beans to provide for his wife and young son. One of nine children, he grew up in a village on about three acres, farmed first by his grandfather and then his father. His grandfather got him interested in becoming a commercial farmer by telling him stories about his great-grandfather. My great-grandfather had a really big farm near Mutare, which is good for growing tobacco. Acre on acre, apparently, and he grew a little bit of everything. But then the settlers came.